Après-ski at the Kitzloch in Ischgl! Daily from 4pm to 7pm. Not even a minute of walking distance separate the Kitzloch from the valley station of the Pardatschgratbahn of the Silvretta Cable Way. Visit one of the most popular hotspots for all lovers of après-ski. 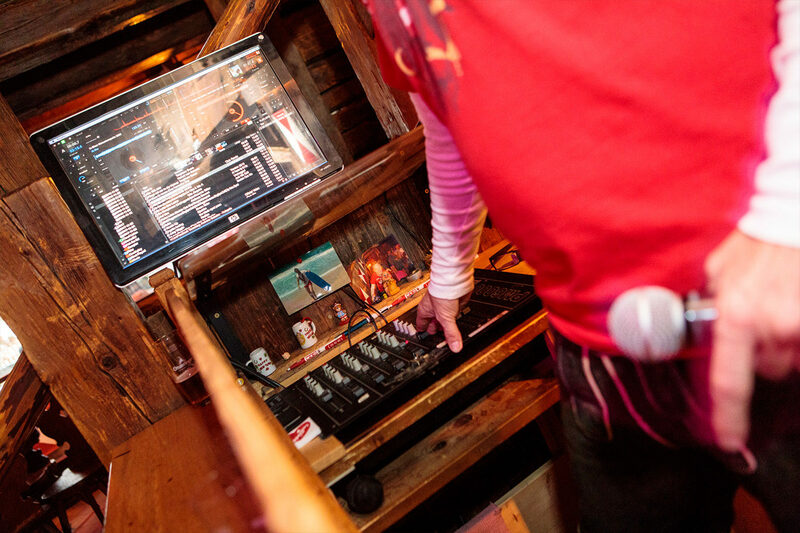 DJ Boris, our resident DJ, hots up every party and with his playlist creates a simply electric atmosphere. 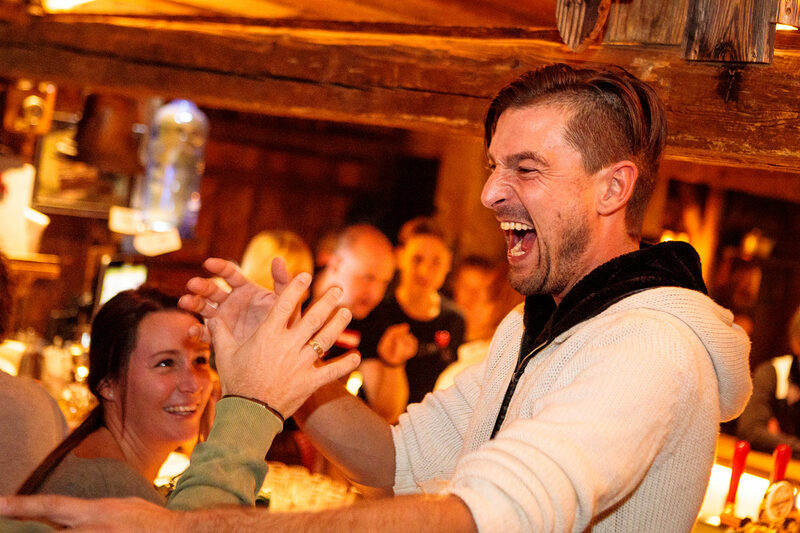 Dance and party to the best après-ski hits and make new friends at the Kitzloch. 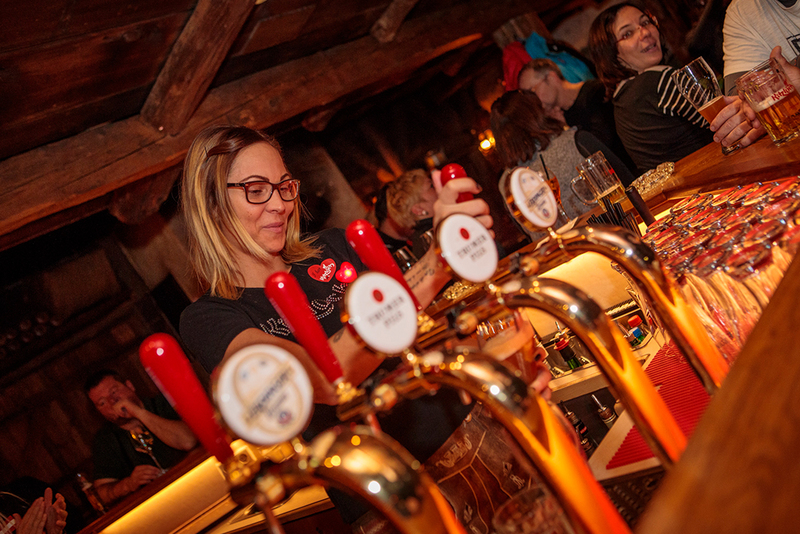 After a long day on the pistes of the Silvretta Arena, you can plunge right into the exciting nightlife of Ischgl – the Kitzloch is situated about 30 meters from the valley station of the Pardatschgratbahn. After an active day of sports, it’s high time to party! Enjoy the exuberant atmosphere and the unforgettable parties at the Kitzloch with your friends and many, new acquaintances. 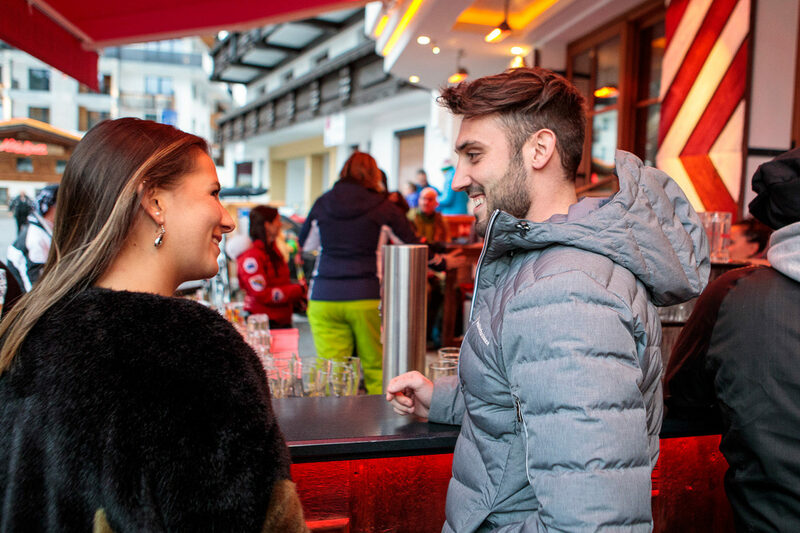 At our ice bar you are welcomed by Anna with her charming smile, excellent drinks and the strongest shots you can find here. You won’t want to leave this comfortable location again, so enjoy the exciting après-ski flair and celebrate the end of a wonderful day on the slopes. The relaxed, yet energetic atmosphere that characterizes Ischgl in winter is incomparable and fascinates all of our guests. But see for yourself! Our team does its best, so that you can feel completely at ease. 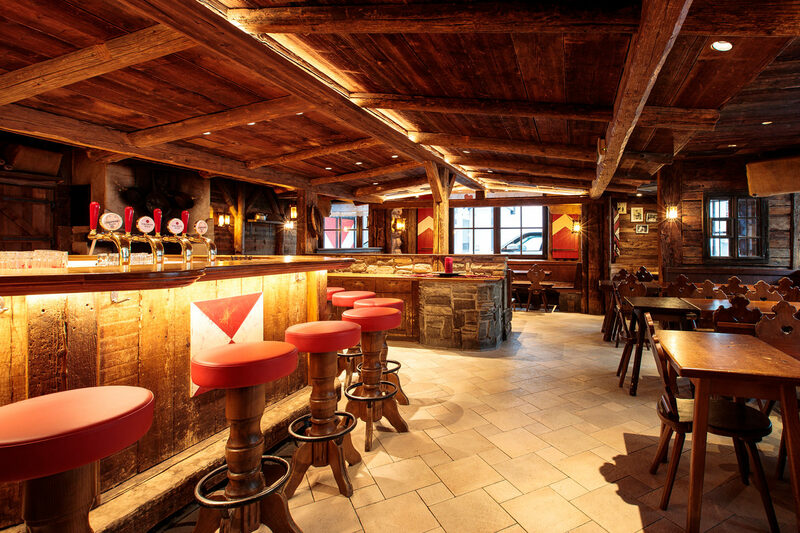 Experience après-ski at the Kitzloch and enjoy a relaxed and convivial atmosphere that will make you come back.